The base idea of this furniture is to give a new value in western countries by representing Japanese traditional little known objects as a Italian version with contemporary material, color and shape. 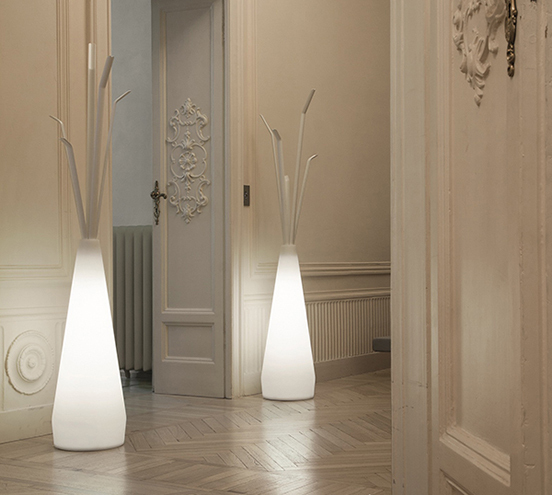 Since many of these Japanese objects are designed in a spontaneous way, they are functional and natural shaped and it could add quality to Italian products. This coat hanger is inspired by the Japanese tradition of composing flowers in a vase. It is called ‘KADOU’ in Japanese. 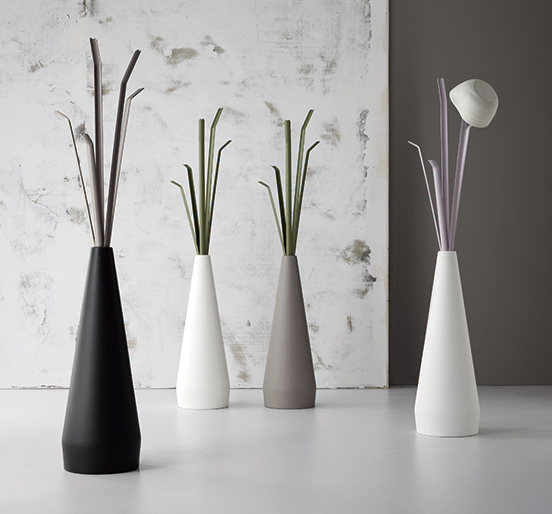 Usually the composition is made by a tall, well proportioned vase, fl owers and other plants. This modern interpretation has the same elegance as the traditional composition and is shaped to fi t a modern interior. A light can also be added into the bottom part of the vase.